A Web platform for a London-based startup that helps brands connect with digital influencers. 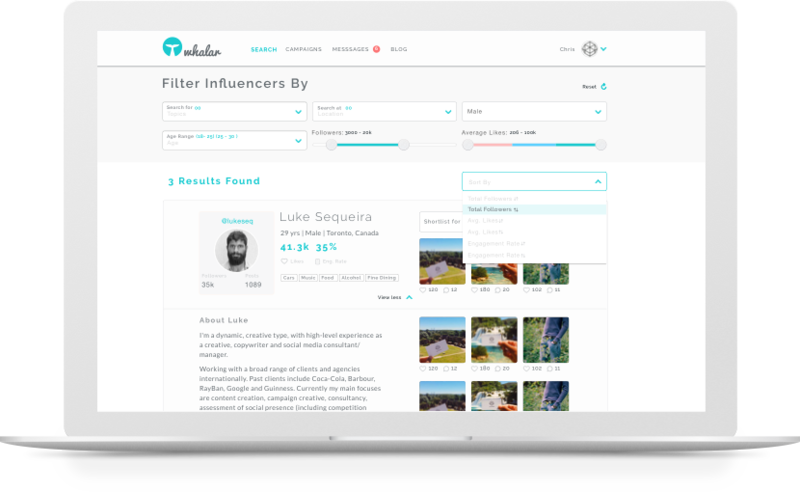 Whalar provides a simple, structured and safe Web platform that allows brands to collaborate with exceptional digital influencers — typically individuals with a large following on networks like Instagram. These influencers can put themselves forward, and upon approval, be discovered by brands. The platform is primarily used for marketing campaigns. We worked on the information architecture (IA), UX and UI. Some of the most interesting features of the app include a full-fledged messaging module, billing and payments processing and search-and-filter functionality.